Time to Taper? Tackle a Half! And what’s better than the B.A.A. 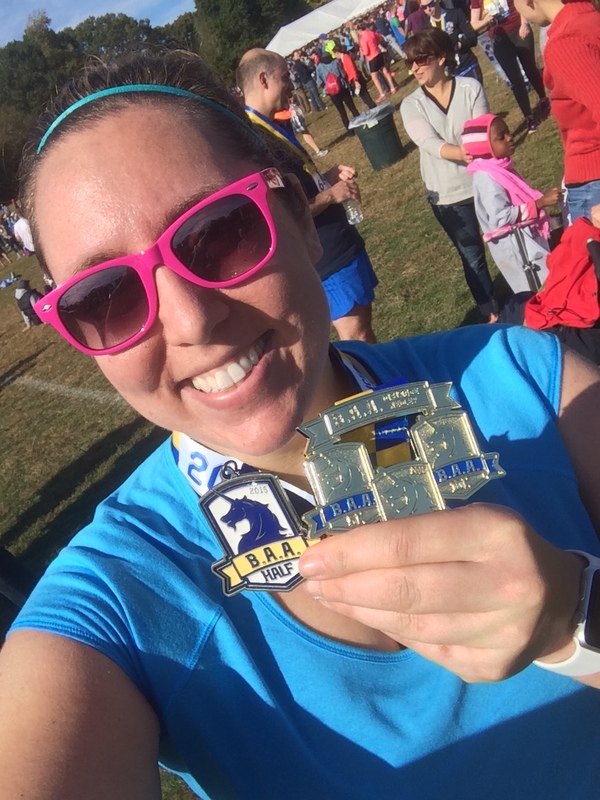 Half Marathon?! I have had a lot going on which has unfortunately coincided with the final month and a half of my marathon training. It’s been distracting and I’ve been carrying a lot of life stress and anxiety into all of my training runs. I am positive that has not been helping me feel at the top of my game. Nonetheless, I’m really trying to take things one day at a time and low and behold those days are slowly ticking away and it’s almost the big day! 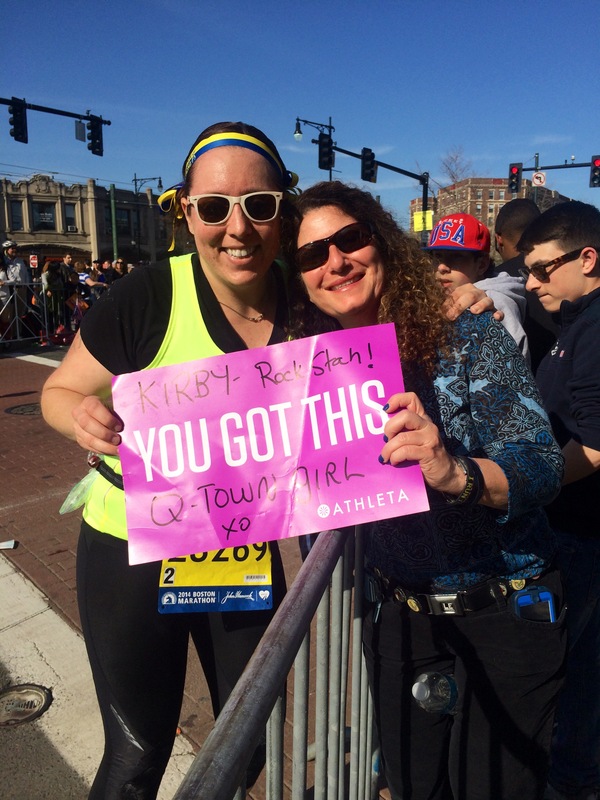 So in the spirit of trying to keep things positive and find the fun in every run, here are my pics from this weekend! 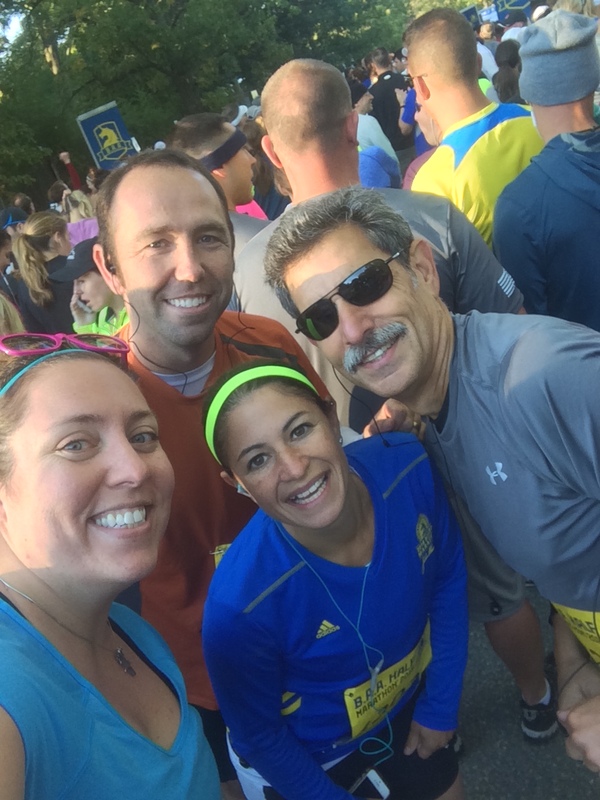 Some pics with friends before the start and in the starting line. 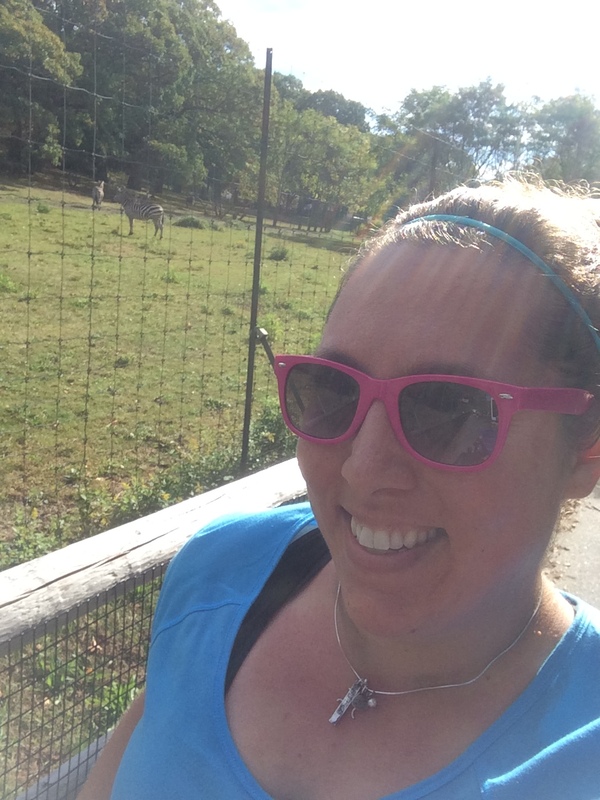 Running through the Franklin Park Zoo gave me the awesome opportunity to snap a selfie with a Zebra!!! I look at this a sign and as practice for The Big Five Marathon , which I hope to tackle one day! 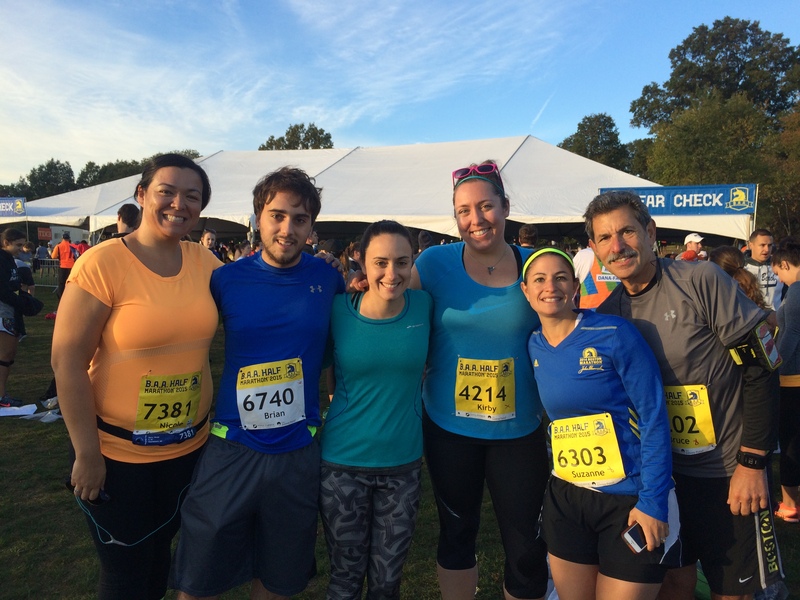 It was great running with some fellow Race for Rehab alums ! Lastly, having completed the B.A.A. 5K, 10K and Half Marathon races this year, I got some extra sweet bling with the Distance Medley Medal! 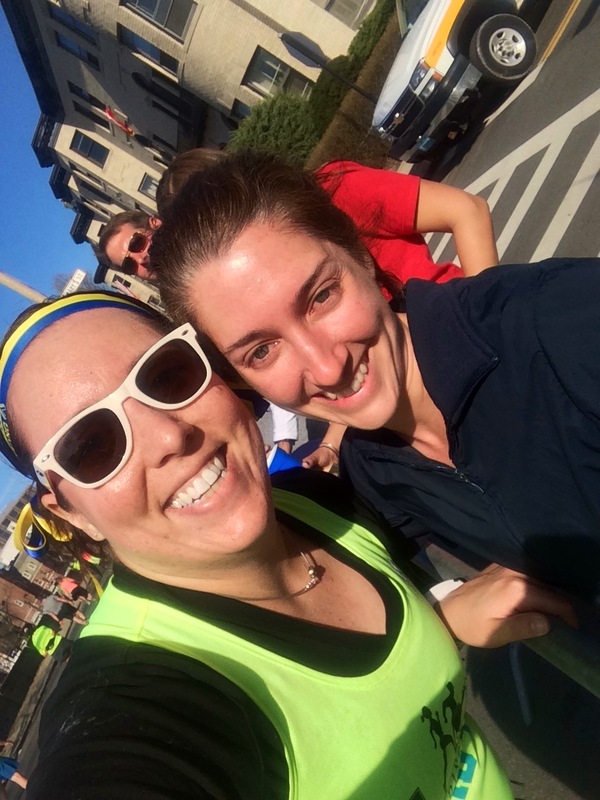 So I’m heading into this weekend and my FINAL long run (eek!) before Marathon day! I’m going for another easy 12-13 miles and really looking forward to all of my shorter midweek runs. I apologize that my posting has been a little off schedule, and fairy uninspired. In addition to marathon training, I’ve had some additional work projects and I’m in the process of buying a new place and moving. Everything is coming to an end at the end of October so I’ve been a real test of prioritizing and productivity lately, neither of which I feel like I’m doing all that awesomely! Nonetheless, I’ll get through it and I really cannot wait to share my experiences of my time in D.C. Fortunately I’m off from work for over a week and it will be a wonderful end to a long training and couple of eventful life months! Lots more excitement to come! And until then, Happy Running! So first off, I have to ask! Did I get you to my blog post because on my social media I promised photo-documentation of “a little sumpin’ sumpin’ in my ice bath?” If so, that’s awesome!!! And here you go! Oh yes, my first attempt at a post-run ice bath deserved a Lagunitas Little Sumpin’ Sumpin’ Ale. Definitely a fave of mine and a nice addition to the tub 🙂 I will say I was advised, probably rightfully so, to ease into the ice bath scene since this was my first go. It wasn’t SUPER cold, but it was definitely cold and regardless felt great on my legs after the 16 miles of hills today. I’ll up my game next weekend after my 20 miles and make it even colder. Maybe I should take a shot of whiskey prior to that bath? Hmmm…. Anyways, let’s go back to the start of this morning! 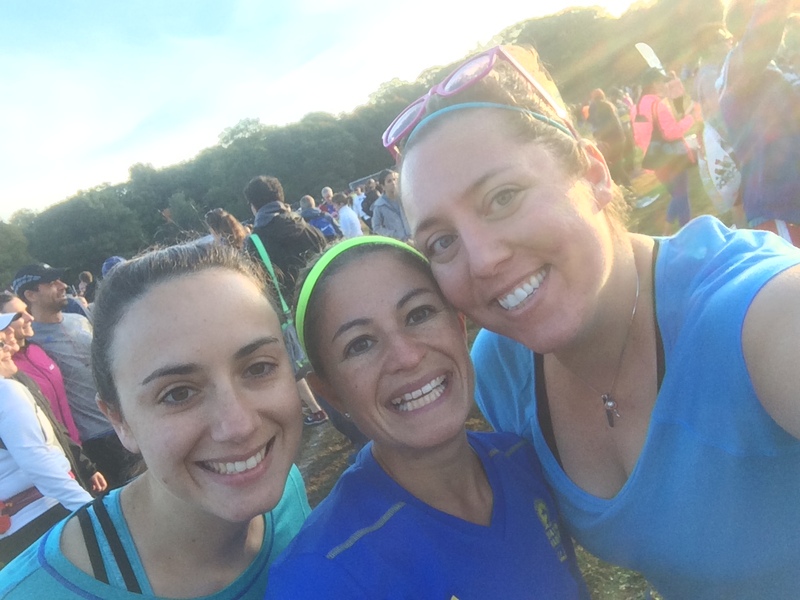 My run buddies and I took our long run this weekend back to our old stomping ground. 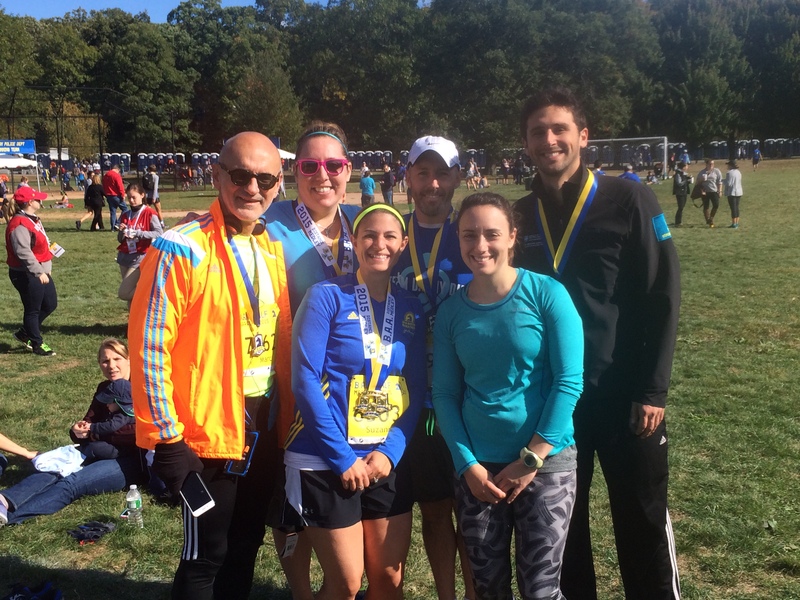 That’s right, we started out at the Woodland T stop to run into the city along the Boston Marathon course. 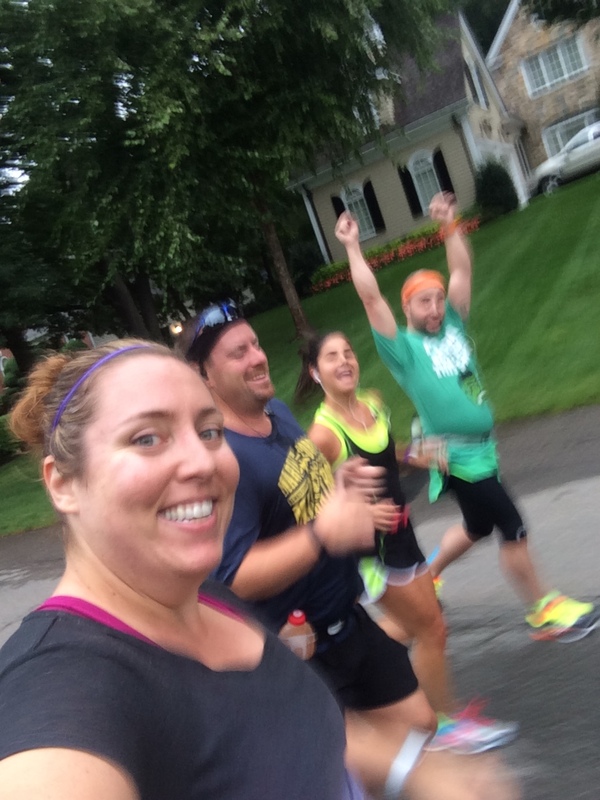 From Newton we ran 8 miles in to the city getting us almost to Kenmore before our turn around. Overall, I’m looking back on the run and my legs felt really rough the second half, which I account to the lack of hill training, but I stand by my thinking it could have been way worse. I got a little tight and heavy feeling in my legs but ultimately ran almost the entire way, except for maybe .30 miles at mile 14. Hey, sometimes when the muscles talk you just gotta listen! Overall, my pace for 16 miles averaged out to 11’05”, which is way faster than I ran Boston and is definitely making me optimistic for my next marathon attempt the end of October. My favorite part about this run, aside from the company (that’s a given!) was definitely the memories that came running back (pun intended) while on this route. 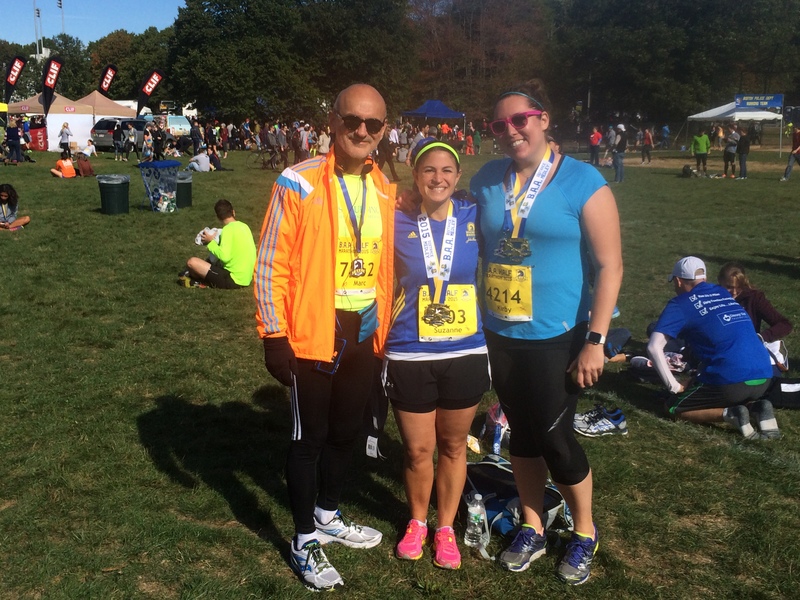 I was remembering moments from both my 21 miler in March 2014 as well as from the day of the actual 2014 Boston Marathon. 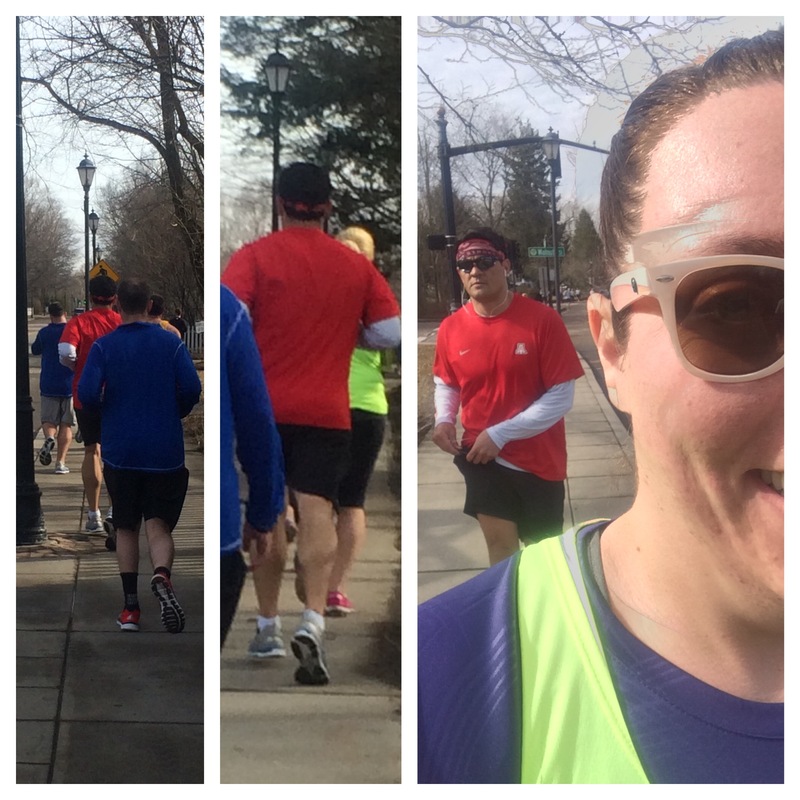 The March training run started with a few more run buddies than today as I joined my Race for Rehab team at Spaulding Rehabilitation Hospital where we got shuttled out to our start that morning. 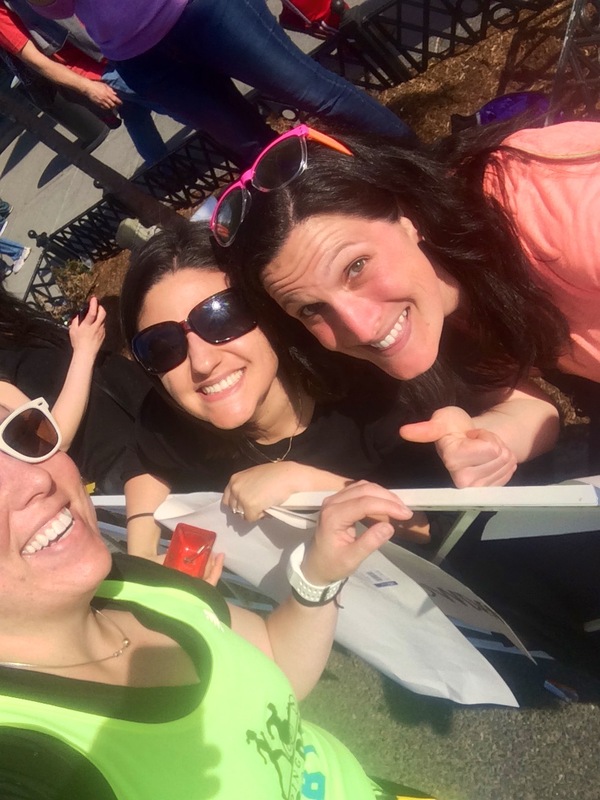 This run was like none I had experienced to date and I was so proud to be rocking the RFR singlet and cheering on all of the other charity and individual runners along the course. A training long-run like none other! 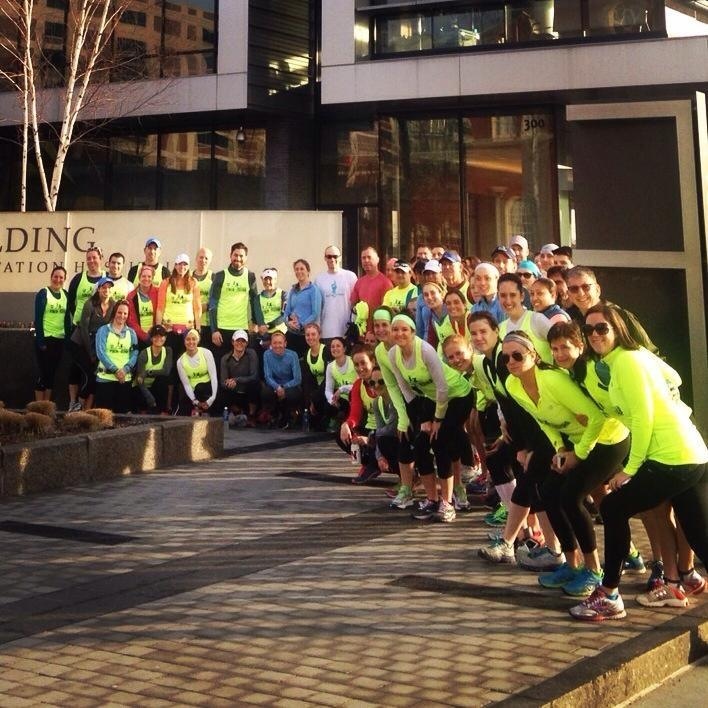 The training run was also super exciting, because that was the day I got a photo with Tedy Bruschi! OK, OK….I did kinda stalk him and didn’t exactly ask for the photo, but the triptych memory I was able to create is possibly one of my favorite photos ever! We were also all a little sad today that Bill the Gorilla was not outside waiting for us, but that’s alright. The memory of my selfie with him on training day came flooding back as we passed by Heartbreak Hill Running Company. 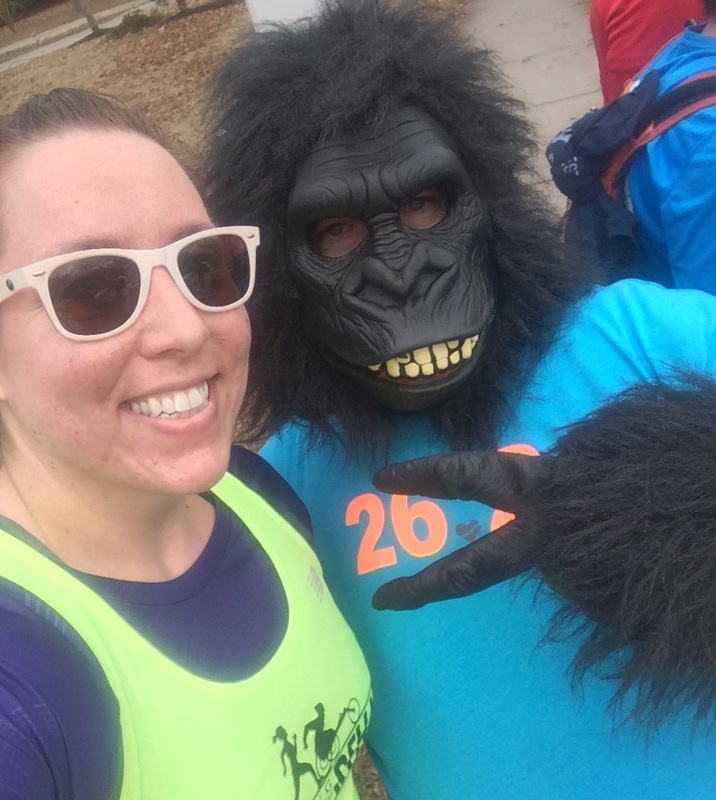 The Cleveland Circle area is also the first part of the race where my friends started popping up along the course on the big day! 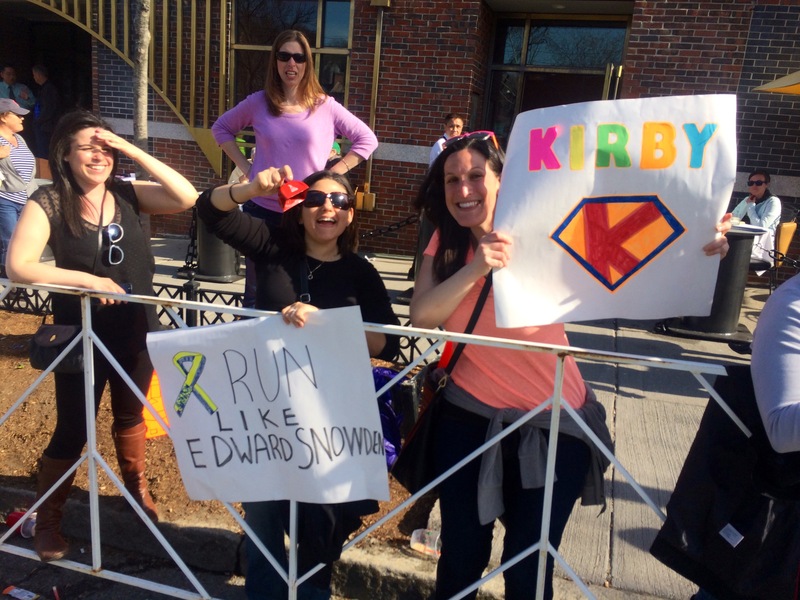 I mentioned this in my final post for the Boston Marathon recap but it’s worth saying again: I would not have finished my first marathon without the love and support of my friends! Here’s a few people I remembered out there on this part of the course from a year and a half ago as I ran past theses areas of the route today! We really lucked out with weather today. 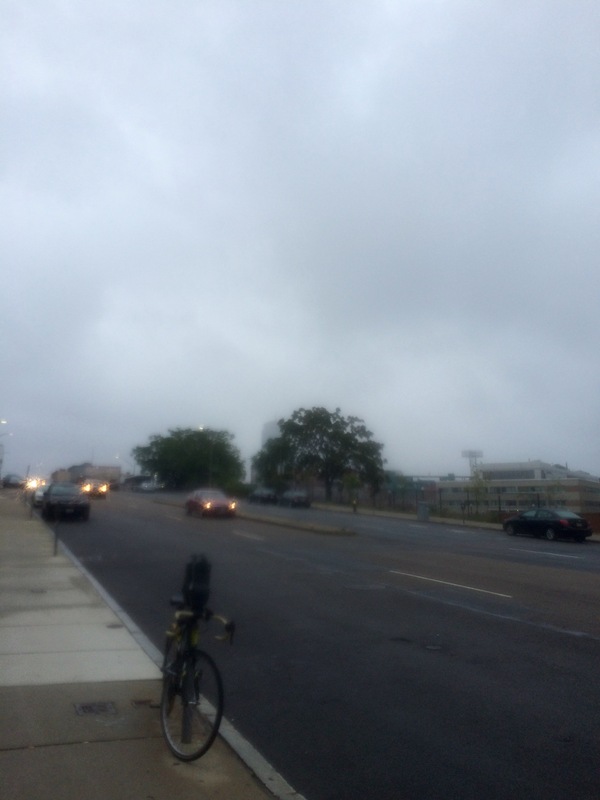 It was nice and cool, overcast and even misting the entire time. 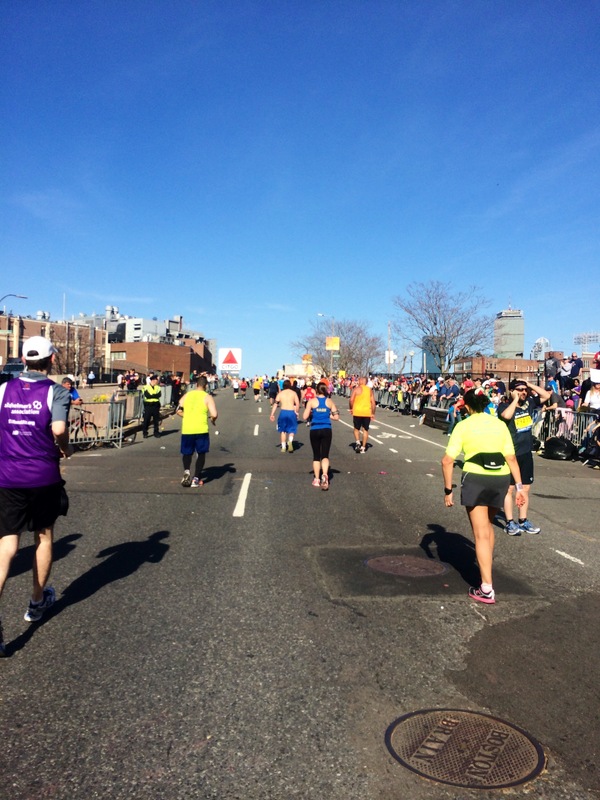 The perspectives are a little off (since I really couldn’t run in the middle of Beacon Street today!) but the view today was a bit different compared to my marathon day as I approached Kenmore! So finally to round out this post, I want to make a special shout out to the ZERO Prostate Cancer Run/Walk that was being held in Newton, MA. 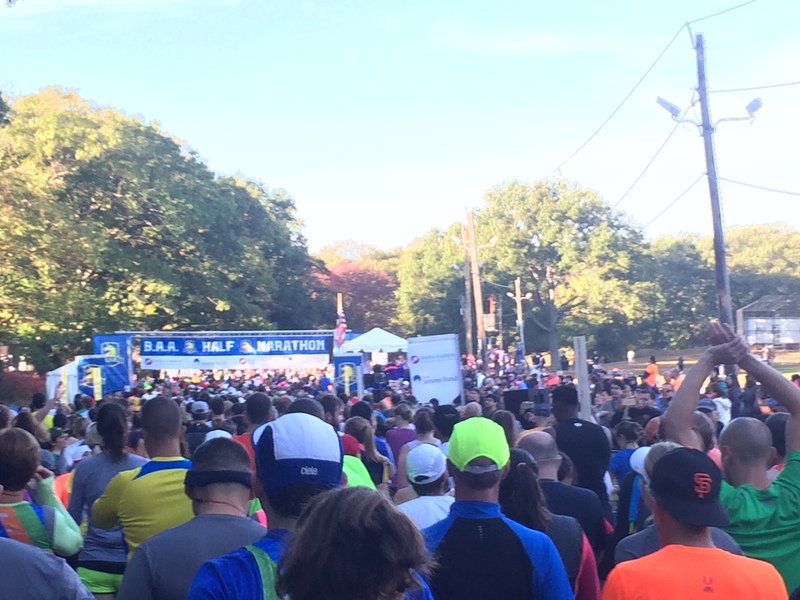 As we were on mile 14-ish, their event had just started. Amanda and I got cheers and encouragement from the race volunteers and other run/walkers and even got a water refill at one of their stations. (I maybe sounded a bit pathetic in my “We’re at mile 15 of our run, can we please refill?” plea). But no seriously, they were all great and I have since made a donation to help support their cause.